May 14, 2012 -- The first public announcement of CT came on 20 May 1972, and it changed radiology forever. 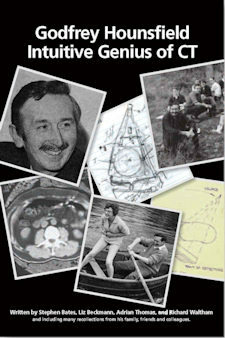 But there are many myths and misconceptions about the early days of CT and its chief inventor, Godfrey Hounsfield. In our latest history column, we look at some of them. Not really. He left school with no qualifications, and the only degrees he received were honorary. His father told his teacher that Godfrey's bad work was due to "intellectual retardation" and not enough blood getting to his brain! His nephew Andrew said that Godfrey thought that school was a waste of time. He believed exams don't matter, and we should not be deterred or misled by lack of qualifications. He was awarded the Nobel Prize in 1979, was a fellow of the U.K. Royal Society, and received a knighthood and many other awards, and yet he remained modest and understated in his approach to life. The first EMI CT5000 scanners were installed in 1975 at Northwick Park Hospital, U.K., and the Mallinckrodt Institute of Radiology, and the Mayo Clinic in the U.S.
Not at all. Hounsfield trained with the Royal Air Force at Faraday House, and his maths know-how was mostly at school-leaver level. Godfrey thought in a different way, and he said, "You've just got to use the absolute minimum of maths but have a tremendous lot of intuition." He used mental models and analogies, and this could be challenging to those more formally trained. There is a story of the early days of the scanner that the director of the Central Research Laboratories at EMI sent a mathematician to see Hounsfield. This was to satisfy EMI that Hounsfield actually knew what he was doing, and also to offer him help. The mathematician is described as being of the "old school" and he apparently went away somewhat stunned by the novelty of the ideas. Hounsfield was not able to prove whether the ideas would work by the time experimental vindication arrived. Well, only when it mattered. When asked when he joined EMI, Hounsfield's guess was that he joined the company in 1951. He actually started at EMI on 10 October 1949, as confirmed by his 25-year award in 1974. This is an urban legend, although it is widely believed. There is no evidence for it. EMI Music did not fund EMI Medical. Illustration by Godfrey Hounsfield showing the concept behind body imaging. This may have been the case when clinical images were being produced; however in the development stages, most radiologists approached said there was no market. The concepts were in a different direction to contemporary ideas in radiology. The U.K. Department of Health and Social Security were believers in the proposal, but developing a full-sized machine was beyond their research budget. You would have thought so, but this was not the case. Hounsfield and his team worked on a shoe string. The lathe bed used for the experimental work was left over from a previous project. The CT/EMI scanner was made using off-the-shelf items. There were plenty of ideas, but no money. Hounsfield persuaded the DHSS to help with funding, but they had very little money. Surprisingly the design of the prototype cost a mere £69,000 (86,400 euros). The sale price of the scanner in production was £120,000 (150,300 euros). 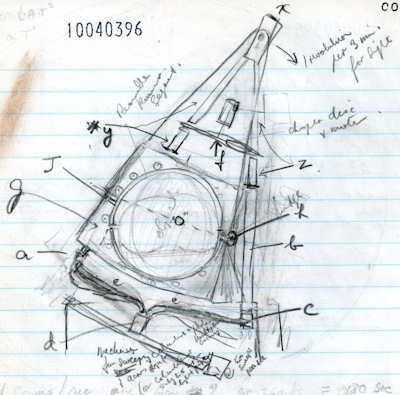 The scanner itself involved astonishing engineering. The next generation of scanners was more complex, and so could not use off-the-shelf components. Again, you would have imagined this was the case, but the presentation was added at the last moment to replace the talk submitted by Bull. There was considerable excitement when Hounsfield showed his images taken on the prototype scanner at the Atkinson Morley's Hospital, London. After the presentation, Hounsfield was persuaded to go around different hospitals to show his slides. He had not brought enough money, and so had to stay in a student hostel that cost $5 a night. However, he came away with 12 orders, which put the group on the map. Images of Hounsfield's own abdomen, taken on a prototype body machine in the laboratory. They were shown at the Bermuda conference in 1975. Actually the first body scan was performed on a very thin engineer, Tony Williams, who could fit into the head scanner. The initial images on the Emerald body scanner were of Hounsfield himself, and reputedly he recognized in the images his lunch of crisps and beer eaten at the Blue Anchor pub! The EMI team presented the body images at the Computed Cranial Tomography International Symposium and Course held in Bermuda in March 1975. When Hounsfield showed the image of his abdomen, the audience let out a gasp, followed by a standing ovation. 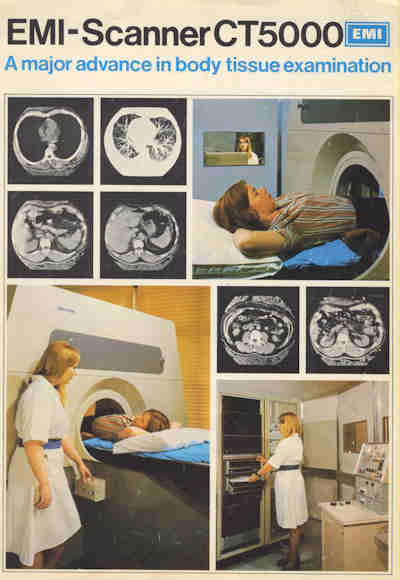 By October 1975, there were EMI Emerald body scanners at Northwick Park Hospital, the Mallinckrodt Institute of Radiology, and the Mayo Clinic. The production model was marketed as the CT5000. So we now have CT today, and the modality is helping millions of patients. Modern scanners are much faster and more detailed images, but basically are little different from Hounsfield's first proposal in 1968. Hounsfield was one of a kind who thought in a different way from most of us. He wanted to encourage the young generation and those who teach them. "Each new discovery brings with it the seeds of other, future, inventions. There are many discoveries, probably just around the corner, waiting for someone to bring them to life. Could this possibly be you?" he asked. Bates S, Beckmann L, Thomas A, and Waltham R. Godfrey Hounsfield: Intuitive Genius of CT. British Institute of Radiology, 2012. Dr. Adrian Thomas is chairman of the International Society for the History of Radiology and honorary librarian at the British Institute of Radiology. The comments and observations expressed herein do not necessarily reflect the opinions of AuntMinnieEurope.com, nor should they be construed as an endorsement or admonishment of any particular vendor, analyst, industry consultant, or consulting group.